No event in American history matches the drama of emancipation. More than a century later, it continues to stir the deepest emotions, and properly so. In the United States, emancipation accompanied the defeat of the world's most powerful slaveholding class and freed a larger number of slaves than did the end of slavery in all other New World societies combined. Clothed in the rhetoric of biblical prophecy and national destiny and born of a bloody civil war, it accomplished a profound social revolution. The Freedmen and Southern Society Project was established in 1976 to capture the essence of that revolution by depicting the drama of emancipation in the words of the participants: liberated slaves and defeated slaveholders, soldiers and civilians, common folk and the elite, Northerners and Southerners. Drawing upon the rich resources of the National Archives of the United States, the project's editors pored over millions of documents, selecting some 50,000. 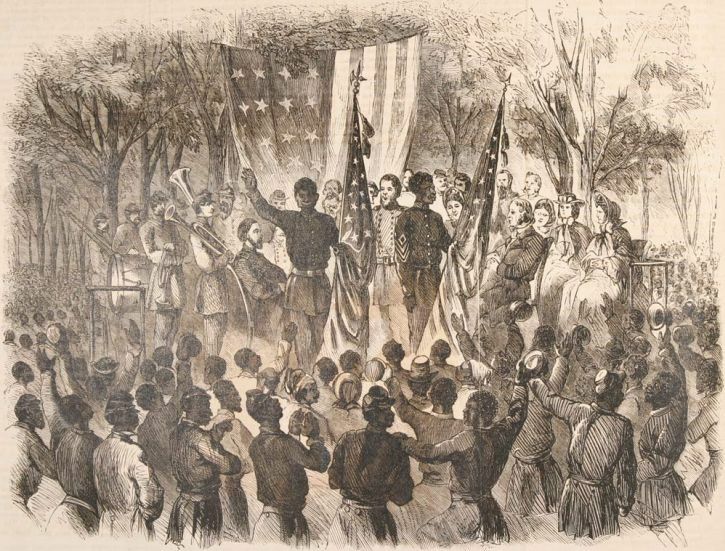 They are presently transcribing, organizing, and annotating them to explain how black people traversed the bloody ground from slavery to freedom between the beginning of the Civil War in 1861 and the beginning of Radical Reconstruction in 1867. The documents vividly speak for themselves, and interpretive essays by the editors provide historical context. The documents convey with first-person immediacy the experiences of the liberated: the quiet personal satisfaction of meeting an old master on equal terms and the outrage of being ejected from a segregated street car; the elation of a fugitive slave enlisting in the Union army and the humiliation of a laborer cheated out of hard-earned wages; the joy of a family reunited after years of separation and the distress of having a child involuntarily apprenticed to a former owner; the hope that freedom would bring a new world and the fear that, in too many ways, life would be much as before. Placed in the context of the Civil War and Reconstruction with the aid of original essays, the documents uncovered by the project's editors are presented in Freedom: A Documentary History of Emancipation, 1861–1867 . A total of nine volumes of Freedom is projected; six have been published to date. A selection of documents from Freedom is available on this web site. Four volumes prepared for general readers and classroom use are also available.